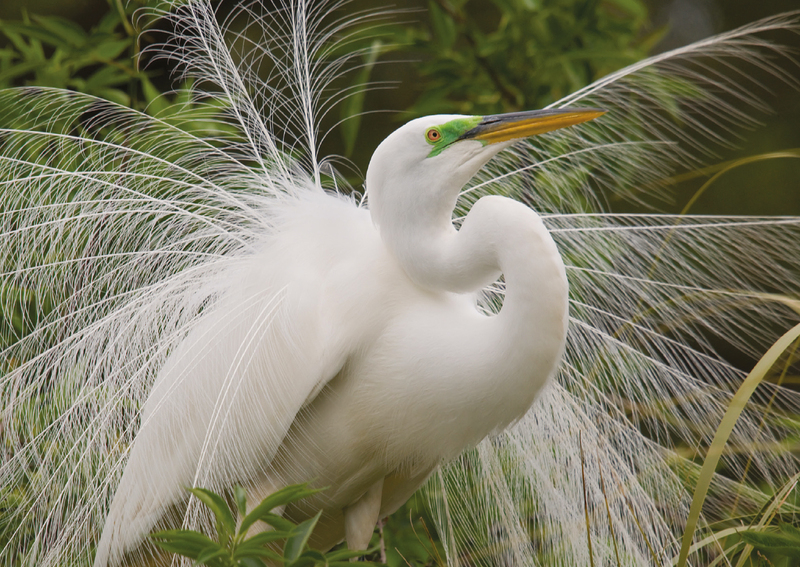 This magnificent display is the “nuptial plumage” of a Great Egret (Ardea alba), which attempts to impress potential mates by growing wispy feathers and donning greenish shadow near its eyes. Great Egrets of both sexes put on this feathery show come the summer mating season, though males perform more elaborately. The Egret’s aigrettes, as the mating feathers are known, once nearly brought this water bird’s demise. Ladies wanted aigrettes for their hats, but thanks to a ban on plume hunting and the Great Egret’s environmental adaptability, populations have largely recovered. A portion of the proceeds from the sale of this product supports the Sierra Club’s efforts to preserve and protect the planet.